The dialogue between faith and reason has long held a place of prominence in the Christian tradition. Sometimes this relationship has been understood positively—construed in the words of Anselm of Canterbury as “faith seeking understanding”—and other times it has been construed negatively—perhaps best represented by Tertullian of Carthage when he asked, “What has Athens to do with Jerusalem?” However one views the relationship between faith (or theology) and reason (or philosophy), coming to terms with how these “spheres of knowing” interact with one another remains an important part of not only what it means to be a Christian, but also what it means to be a human. Thinking carefully and critically about both theology and philosophy is an important posture for finding answers to life’s great questions. 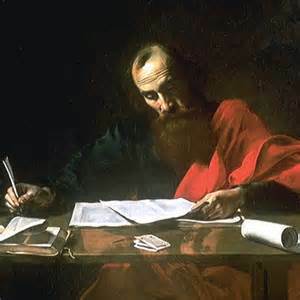 Here, I want to briefly comment on this relationship between theology and philosophy for one of the earliest followers of Jesus, the Apostle Paul. Therefore let no one pass judgment on you in questions of food and drink, or with regard to a festival or a new moon or a Sabbath. These are a shadow of the things to come, but the substance belongs to Christ. Let no one disqualify you, insisting on asceticism and worship of angels, going on in detail about visions, puffed up without reason by his sensuous mind, and not holding fast to the Head, from whom the whole body, nourished and knit together through its joints and ligaments, grows with a growth that is from God. If with Christ you died to the elemental spirits of the world, why, as if you were still alive in the world, do you submit to regulations—“Do not handle, Do not taste, Do not touch” (referring to things that all perish as they are used)—according to human precepts and teachings? These have indeed an appearance of wisdom in promoting self-made religion and asceticism and severity to the body, but they are of no value in stopping the indulgence of the flesh. This passage is all about Paul’s argument for freedom in Christ, whose death has freed his followers to live apart from the forces and rules of the world. 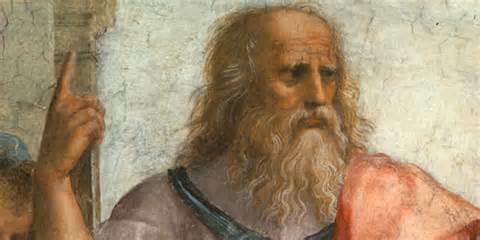 Viewing this epistle in light of its wider Greco-Roman context, Paul’s portrayal of Jesus as the great freedom-bringer reads as analogous to Plato’s Allegory of the Cave, where the enlightened philosopher brings freedom to those trapped within the cave. Particular interesting to me is the language of Colossians 2:17, which reads, “These are a shadow of the things to come, but the substance belongs to Christ.” This language of “shadow” (σκιὰ) and “substance” (σῶμα) mirrors the precise language used by Platonists (and later, neo-Platonists) to describe the human condition, imbued in shadows and seeking the true substance that can only be revealed by the enlightened. Though certainly not the explicit purpose of Paul’s epistle, his use of this Platonic language suggests not only his (at least) casual awareness of the Allegory of the Cave, but also indicates that he found it appropriate to view Christ within a Platonic framework. This is not to argue that Paul’s primary approach to Jesus was through Greek philosophy, but rather to posit that—in being “all things to all people”—he apparently found the Platonic worldview habitable enough to creatively co-opt for his early Christian worldview. As this post is little more than a reflection stemming from a reading of Colossians 2, I don’t want to conclude anything outlandish. However, I would tentatively argue that Paul inhabited at least a partially Platonic worldview in which Christ was the enlightened liberator of the cave whose life, death, and resurrection allowed for the transformation of the shadows of human existence into the glorious existence of substantial life in Christ. It would then seem that this general philosophical understanding was incorporated into orthodox Christian theology, especially in the writings of Justin, Theophilus, and Augustine. It would thus seem that—contrary to Tertullian’s perspective—Athens and Jerusalem had quite a lot to do with one another. 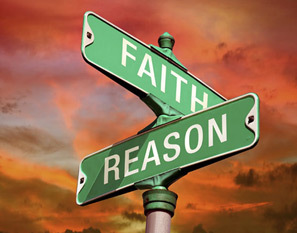 What do you make of the relationship between faith and reason in the Christian tradition? Do you find the idea that Paul is using the Platonic worldview in Colossians 2:17 convincing? Quid ergo Athenis et Hierosolymis? In case it’s not obvious from what follows, I am not engaging questions about the authenticity of attributing Pauline authorship to the Epistle to the Colossians. That is another topic for another time. Colossians 2:16-23, English Standard Version. Available online here. “Allegory of the Cave” from Plato’s Republic. There are obviously some very powerful Gnostic parallels here as well, with Christ serving as the great gnosis (knowledge) bringer. Leslie William Barnard. “Introduction.” St. Justin Martyr: The First and Second Apologies. In Ancient Christian Writers: The Works of the Fathers in Translation, No. 56. Edited by W. Burghardt, J. Dillon, and D. McManus. 14-16. In anticipation of any recommended resources on this subject from my readers and recognizing that there is nothing novel in this presentation.